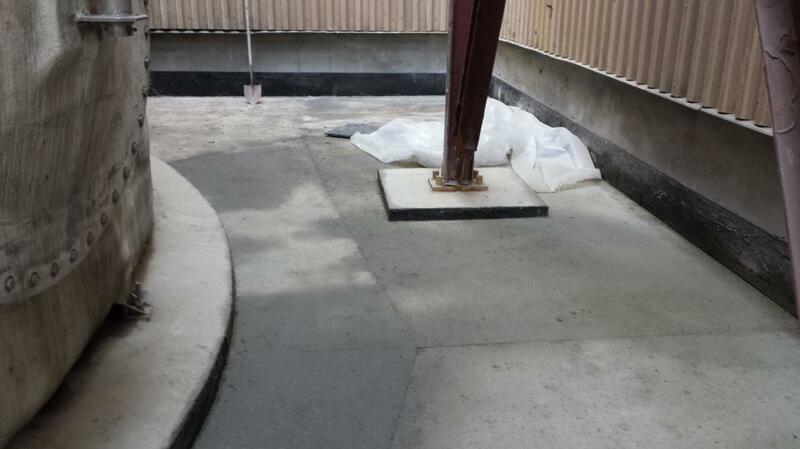 For special projects, Vector Construction supplies and installs a unique acid-proof concrete. There are two types of materials used in this application. One is silicate concrete and the other is sulfur concrete. Sulfurcrete is ideal in aggressive acid and other chemical environments. Since Sulfurcrete is chemical resistant throughout its entire thickness, there is no need for coatings, linings, or acid brick installation. Sulfurcrete, made of acid resistant aggregate and molten sulphur cement, is installed between 130°C (266°F) and 140°C (284°F) and hardens on cooling. It can be casting monolithically on site or prefabricated into precast concrete components for delivery. Silicate concrete is resistant to all concentrations of most acids including sulfuric, hydrochloric, nitric, chromic, acetic, and phosphoric. The material can incorporate fibers for improved physical properties and cracking resistance. There are limitations for its use in certain environments so contact Vector for additional details. Is a unique concrete supplied and installed by Vector Consruction for special projects. Sulfurcrete is ideal in aggressive acid and other chemical environments. 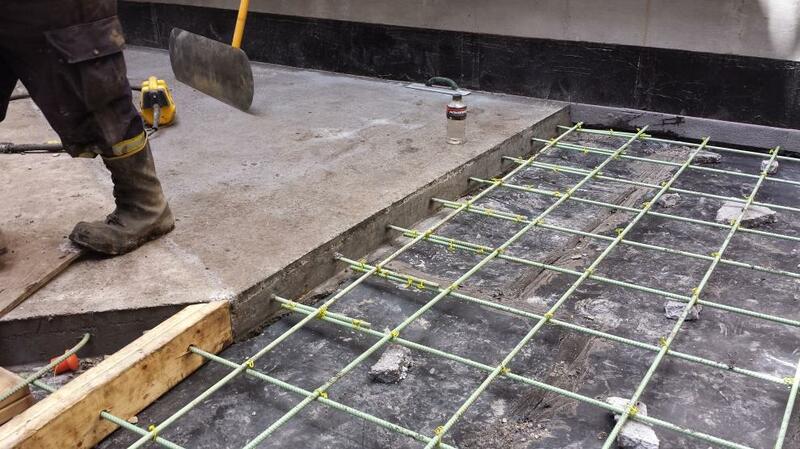 Since Sulfurcrete is chemical resistant throughout its entire thickness, there is no need for a costly coating, lining, or acid brick installation. Sulfurcrete is made of acid resistant aggregate and molten sulphur cement. 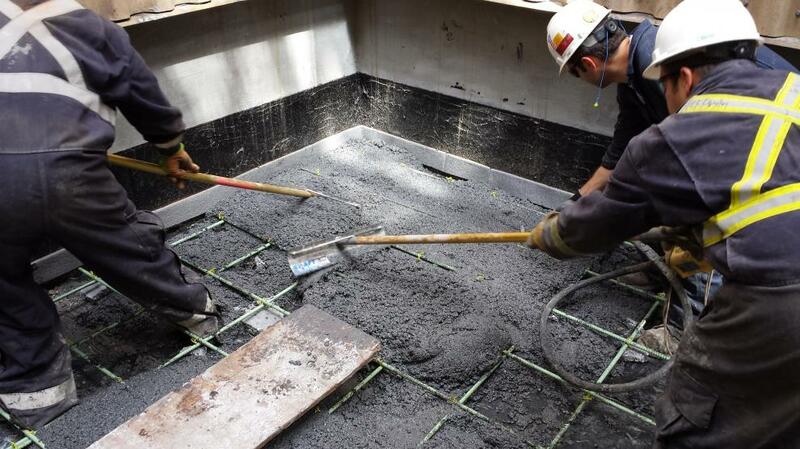 Sufurcrete is installed between 130°C (266°F) and 140°C (284°F), and hardens (cures) on cooling. For shutdown applications this feature is ideal as a Sulfurcrete installation is ready for use within one hour. 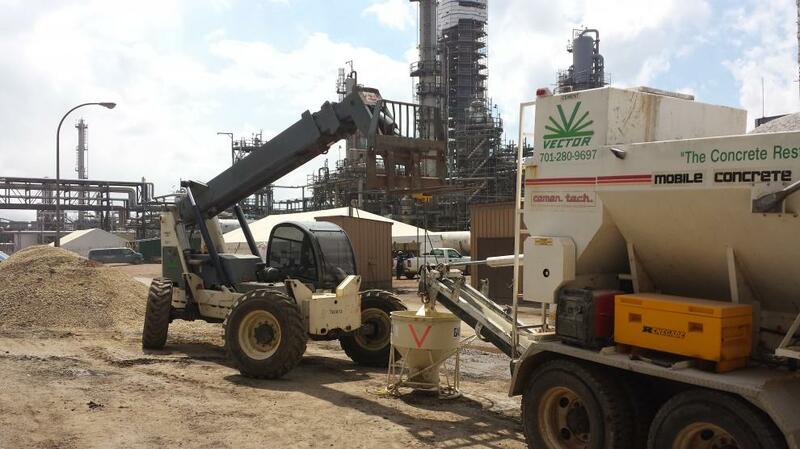 Vector Construction has the options of casting Sufurcrete monolithically on customer’s site, or prefabricate required precast concrete components off site for later delivery.